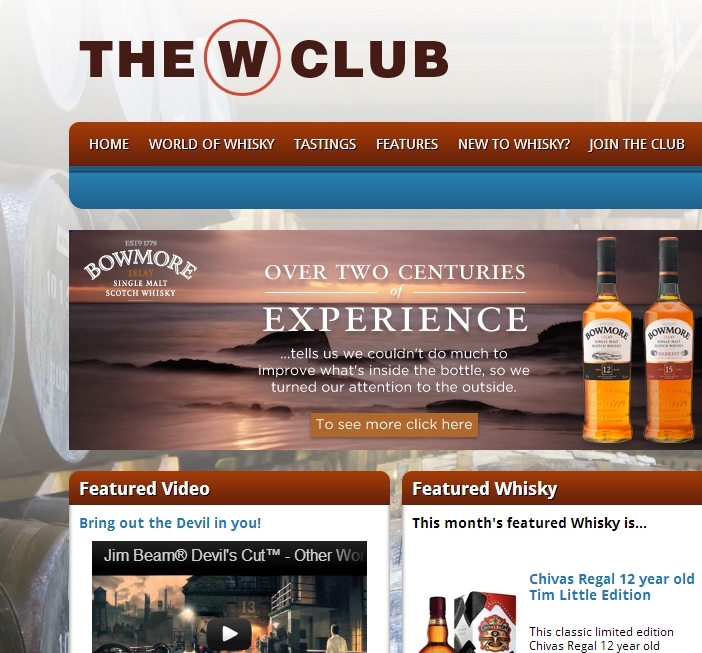 Earlier this year I joined the Whisky Shop’s aptly named W Club which has varying levels of membership and was just rolled out online and across their expanding portfolio of stores. 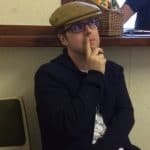 A few months further down the line, I feel now is the time to sum up my thoughts so far on what the Gold option can give and whether this is value for money. The welcome pack I covered in the initial piece here and this represents a large proportion of your initial £25 investment handed straight back. For future years you can, I expect, continue at the lower Silver rate of £12.50 that dispenses with the pack yet still ensures all of the other benefits remain intact. With it being such a new scheme the renewal aspect isn’t clear for those members wishing to continue – perhaps a new pack will be offered? 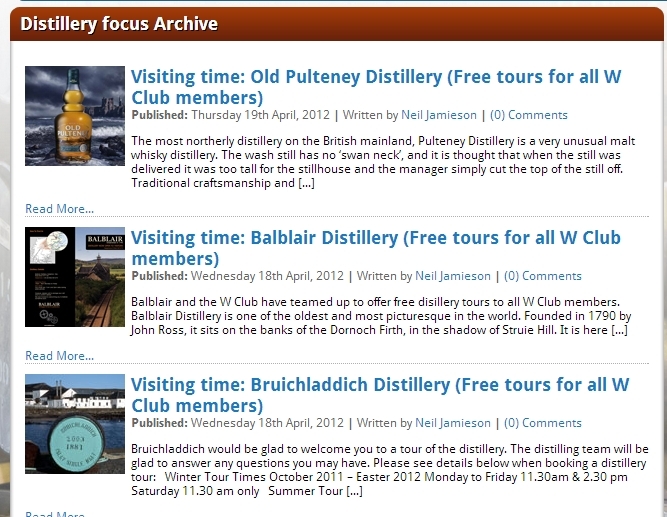 The first benefit is being able to explore the various areas of the W Club website which does provide a regular stream of content. 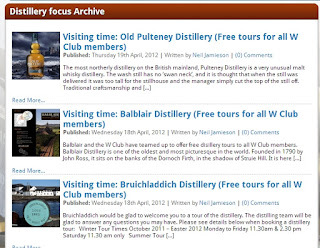 This can range from Auction reports to articles about specific distilleries or special exclusive editions and competitions. I’m quite pleased with what I’ve already read over the past few months and it has almost become a regular weekly haunt to see what is available. 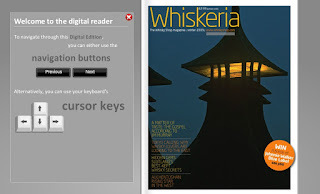 The Whiskeria magazine is a decent enough read and is sent out 3 times a year, within its pages is enough content and although you can drop by a store and pick one of these issues up easily, it means you will never miss out. The magazine archive is also available and has just gone live. One of the more tangible benefits for UK residents are the free distillery tours when you produce your membership card. I’m kicking myself here as I’ve been to several recently and totally forgot about this benefit even though the card was in my wallet! A real tangible bonus is the 10% off purchases at the Whisky Shop. I’m surprised how often I have actually put this into practice and it is easy enough to log in when you reach the checkout stage. When you buy bottles now and again, or that special purchase you can regain the cost of the membership outlay and much more besides. Yes, that’s one benefit that I haven’t overlooked at least! Overall then, a pretty solid start for the scheme which I presume can only get better. If you are interested in whisky or purchase from this retailer on a regular basis, then it is recommended. My membership has already paid for itself and more besides, so in these harsh economic times even with the Whisky Shop’s slightly more (at times) expensive pricing, the W Club is worth considering. There are quite a few whisky clubs or membership schemes out there offering various perks and incentives for your hard earned cash. For instance I..
I’m not sure for how long I’ve been debating joining the Scotch Malt Whisky Society, but it is at least a couple of years. To..